Rustic, vintage – they’re all the hot things right now. Contrasting elegance and a bit of folksy charm seems to be what many are looking for – and many look to a wedding on a farm or at a barn. But what should you consider? Here are some key points to planning your wedding at a rustic location. Look A Barn! Now What? Talk to your local rental companies – many can provide everything you need from the tables and chairs to more modern (and portable) bathrooms. You will want to make sure you have electricity and if you don’t, you’ll want to get generators to power your lights, entertainment and food service. Be sure to communicate with all your vendors so you don’t get stuck the day of. As with any outdoor wedding, make sure you plan for extreme weather whether it be heat, cold or rain. Most barns don’t have their own heating or cooling systems so be sure you account for fans or heaters and make sure you can circulate the air especially around the dance floor – it can get pretty hot in there! Parasols and paper fans are great ideas for your guests. And make sure to have lots of water! An afternoon of fireflies lighting up the sky can be very picturesque, but biting bugs can really ruin the mood. Lighten up tables with citronella candles or have tiki torches burning around the exterior of the barn filled with the bug repellant fuel to help keep the bugs at bay. Stock your bathrooms with bug spray and Avon Skin So Soft (which works great for bugs and doesn’t smell bad) for your guests. You might also want to give the barn a once over for bees nests before your reception so you don’t have any bad instances on the day of your wedding. Be sure to have backup shoes. Heels are great for photos but depending on your barn, the floor might be dirt and very uneven. Best to bring a pair of sneakers in the event you want to be comfortable and have a solid footing. Lastly, consider your guests and their circumstances. You’ll want to make sure to have parking close by for your elderly and handicapped guests that doesn’t go thru any mud or uneven ground. Don’t forget to also consider your guests with allergies when choosing things like farm animals or hay bales. While you might want to include those things in your photos or around as ambiance, keep some of the area free of allergens if possible. Keeping the air circulating will also help. 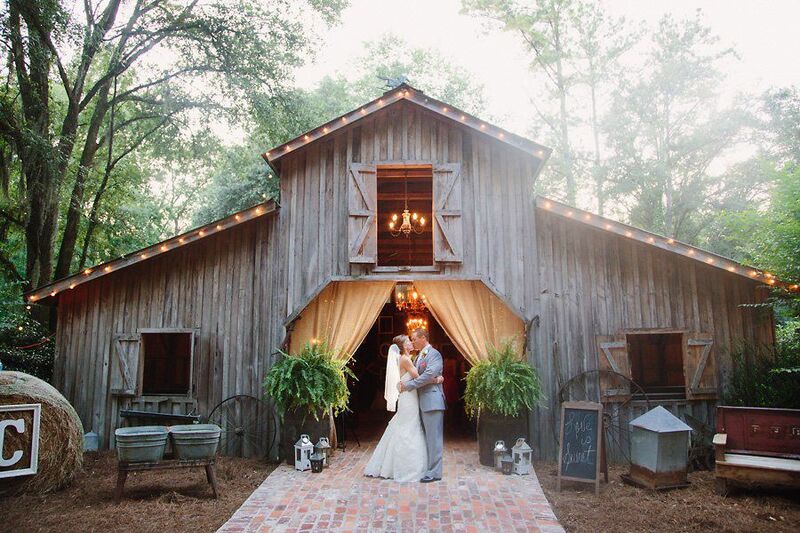 Have you had a barn wedding? We’d love to hear about your experience. Give us tips on how to plan and what to expect!